[prMac.com] Cupertino, California - Busy parents who spend an enormous amount of time and energy trying to plan, reschedule and often re-schedule their child's various social, recreational, educational and developmental activities, can now download the innovative new no-cost app that promises to instantly make their lives easier and far less stressful: Kids Day. 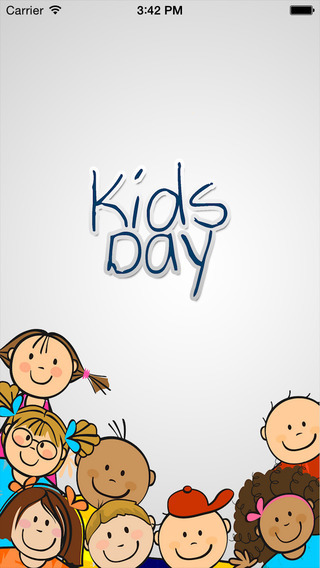 Parents start by logging into to Kids Day either through the app, or via their Facebook or Google+ account. Next, they enter information about their child (or children). From there, they add their child's friends by searching for names, zip codes, activities and/or school name. After that, they schedule events with other parents, such as picnics, library visits, recreational outings, and anything else appropriate. They can also search via interests - such as swimming, art, dance, and so on - to coordinate practice sessions with other parents, and therefore develop their child's skills and abilities. Finally, parents can chat with other parents in the event group to finalize plans and confirm details. The whole process takes anywhere from a few seconds to a few minutes, and as noted above, it's simple and straightforward. Changing and updating information is just as easy. In addition, Kids Day allows parents to view new, previous and upcoming events, so they can get a "birds-eye" view of their child or children's schedule and activities over a longer period of time. "We're busy parents too, and we quickly found that trying to coordinate and schedule our kids' activities was like having a second career," commented Siddhartha Jain of Kids Day LLC. "We also realized that families who are new to an area can sometimes struggle to connect with other like-minded parents, and find safe, fun events for their kids to enjoy. Fortunately, Kids Day solves both of these challenges. Parents can download the app and instantly start building a trusted network!" Kids Day 1.1, the new no-cost app that helps parents schedule their child's activities and connect with other parents, is available worldwide through the App Store in the Social Networking category. There is also an Android version available on Google Play. Based in Highlands Ranch, CO Kids Day LLC is led by Siddhartha Jain, who launched the company after struggling to find playmates for their little girl, as most of their adult friends at the time didn't have children. The Jain's also wanted to connect with other parents and schedule practice sessions for their daughter, who loves art and swimming. Out of this need grew the company's flagship app "Kids Day," which is available now from the App Store and Google Play. All Material and Software (C) Copyright 2015 Kids Day LLC. All Rights Reserved. Apple, the Apple logo, iPhone, iPod and iPad are registered trademarks of Apple Inc. in the U.S. and/or other countries. Other trademarks and registered trademarks may be the property of their respective owners.